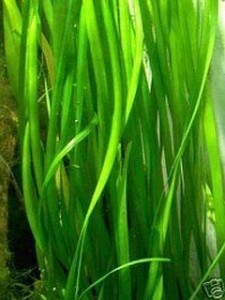 I think jungle val will completely destroy your duckweed thru allelopathy. Where did you read about that? I’ve heard about possible allelopathy when using aquarium water to water terrestrial plants, but I haven’t been able to find much on the subject regarding aquatic plants. I think Diana Walstad touched on it in her book, but even there, I’m not sure if it was conclusive (and I don’t own the book, so I have to trust my memory). I’d really appreciate it if you could tell me where you read it, so I can check it out for myself. This actually comes up a lot, and I don’t have a definitive answer. It’s more likely it will destroy the duckweed through eating up all the nutrients since it’s also a really fast growing plant (that’s assuming enough light reaches it). 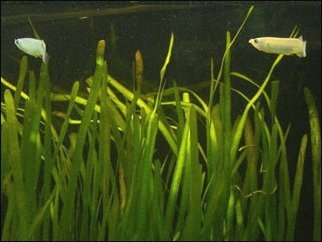 I personally never have duckweed problems, it just doesn’t survive in my tank (I’ve tried numerous times). Hi, great article. Though most people said it’s an easy plant, I’m killing mine! Would you be so kind as to let me know what I’m doing wrong? My tank is 100L, only has hairgrass and jungle val, two dozens fish (neons, guppies and SAE). Lighting is Fluval 2.0 for 5hours a day, co2 around the same time. Only dosing flourish potassium and micro once a week. My jungle val are getting black tips and melts, and it has black dots on it. I have root tabs. I hope my highlighting is not feeding the algae that I think is on them….